Indications for surgical creation of biliary-enteric anastomosis (BEA) have been significantly reduced by improvements of interventional endoscopy (sphincterotomy and biliary endoprosthesis placement), especially in patients with malignant obstructions and choledocholithiasis. However, surgery is still indicated when the CBD is larger than 1.5 cm, when large stones occupy the CBD, and when tight and extensive stenosis of the papilla are present, especially in the long-term treatment of elderly patients. Selecting the intestinal segment to use in performing BEA is still controversial and seems to depend on the experience of the surgeon rather than on any really objective criteria. 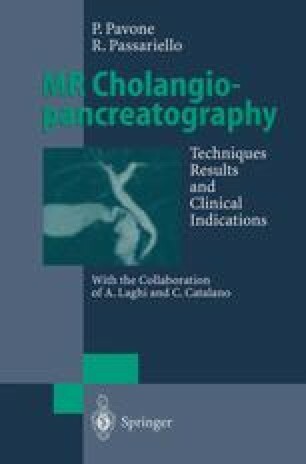 The indications for performing BEA include Mirizzi’s syndrome (0.5%–2% of choledocholithiasis ) and benign stenosis of the CBD due to iatrogenic lesions. These have recently increased in number as a consequence of the greater use of laparoscopic cholecystectomy.